After just four years Ducati dumped the 999 and reverted to what it knows best. 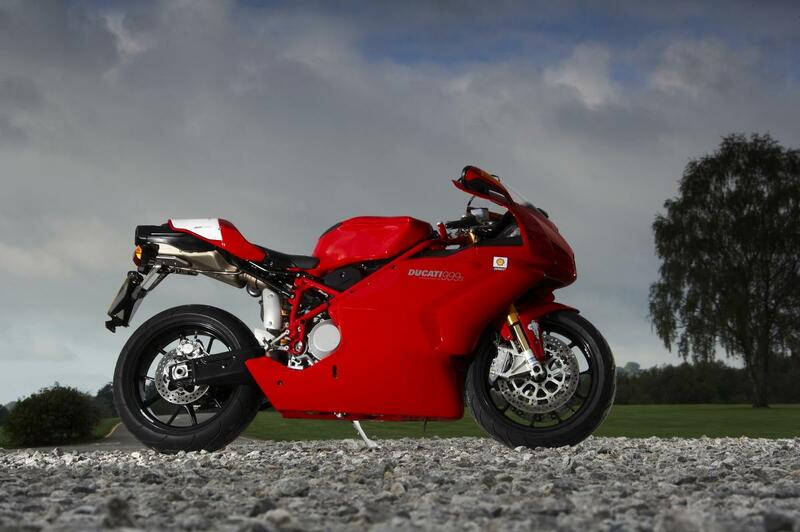 The radical angles and flat flanks of the 999 were replaced by the more subtle curves of the 1098, a bike that unashamedly echoes the iconic 916's design. So was the 999 such a styling disaster? I don't think so. In fact, I reckon the 999 is a future classic in the making. Here's why. First up we have to think about what makes a classic. A classic is generally a bike that has shaped a generation, or made a significant impact when it was launched. Yamaha's RD350LC shaped a generation of two-stroke fans, Honda's FireBlade showed what a sub-litre sportsbike should be and Ducati's own 916 made jaws drop the world over on looks alone. And it performed on track. These are all bikes that are obvious classics. But then you have the oddball classics such as Suzuki's Katana. The Katana, styled by German design house Target, was an instant classic at its launch in 1980, attracting a cult following inspired by its futuristic lines. And this is where the 999 fits in. Like the Katana it challenged motorcycle design principles. No other bike comes close to looking like the 999. I'm not knocking the 1098, which I think is stunning, but it isn't that far removed styling-wise from the current Japanese 1000s or 600s. Yes, it has a single-sided swingarm, but the front end is so similar to the Japanese with twin lights and air scoops - nowhere as unique as the 999. But is this similarity simply due to the Japanese having been influenced by the 916's style? Perhaps so, and then it's full-circle, for the 916 itself was heavily influenced by Honda's NR750. I forsee that we will look back on the 999 and see it as a bike out of its time. A bike that eschewed ususal practice. Put it in this context you can see why it will be a classic. A true classic is a bike that will cause a stir, attract a crowd. The 999 will do this. And the 999 has real kudos: it won three out of the four WSB titles it entered and even won a BSB title, which is no mean feat. Okay, in the sales charts it was a flop, but this will soon be forgotten. Then there is the ride. The last generation of 999 is stunning to ride. The engine is beautiful, putting out a genuine 130bhp, while the chassis is superb and more than a match for the Japanese on road and track. The styling morphed and progressed and by the end the colour matched frame, black swingarm and altered front air scoops made it look good. Especially with a single seat adorned with white number boards. I admit that I have been one of the many to knock the look of the 999, but now I'm actually quite sorry to see it go. It was unique, a one off, a bike that was completely off the wall. In an age of homogenous sports bikes the 999 will stand out as one that broke the mould. Unfortunately for Ducati, and the 999's designer Pierre Terblanche, the general public just wasn't ready for such a radical change. But given a few years I reckon they may well be.